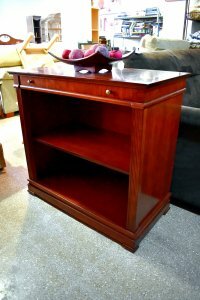 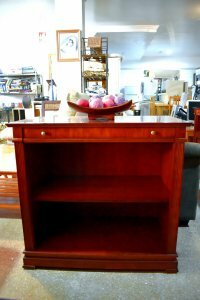 Solid wood mid brown shelf unit/small cabinet. This unit is suitable to be used as a TV unit or small lounge unit, in a traditional style, with a small drawer at the top and 2 shelves underneath. 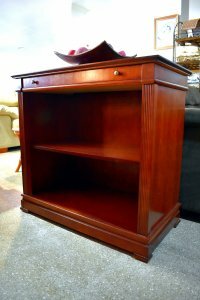 We also have in stock a matching TV cabinet of the same dimensions ref K705 priced at 60€.